We have a development team with over 10 experienced engineers. Before we made 'AnyTrans for Android', we mainly focused on PC & Mac desktop applications for smartphone data management and recovery. Our users hoped to use our service on their mobile phones, that’s why we finally made 'AnyTrans for Android'. 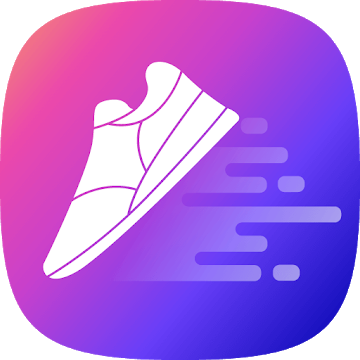 Although we have been making desktop applications for a long time, it’s not an easy job to combine a desktop application with a mobile app to bring our users new and better experience. This explains why 'AnyTrans for Android' gets 3 big betas and countless small betas before it's officially announced. 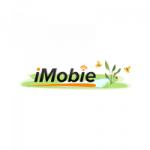 'iMobie' was established in 2011, located at Tianfu Software Park, Chengdu, China. The company's name is inspired by "I'm Optimistic, Brave, Independent & Efficient", which represents the main characters of this young, passionate and promising team. At our fledgling stage, we focus on developing iPhone, iPod, iPad content management, iOS data recovery and iPhone/Mac maintenance utility software. We believe that all our efforts are worthwhile since over 8 million happy users have been served by 'iMobie' products and services. 'Send Anywhere', 'ES File Explorer', and 'AirDroid' are three of my favorite apps. 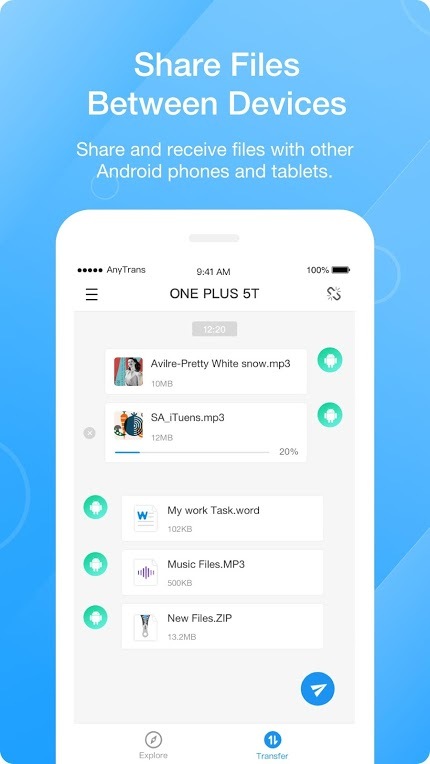 The fast sharing feature of 'Send Anywhere' lets me share files quickly and easily with my friends. I love 'ES File Explorer' because of its full-way and powerful file management. 'AirDroid' combines its mobile app with the desktop app very well so that I can use it in any case, which is also what we hope our 'AnyTrans for Android' could bring to our users. It has cost us 7 months to finish 'AnyTrans for Android', with the effort of 10 experienced engineers. We made 'AnyTrans for Android' mainly for a fast and simple file sharing between a computer & an Android device and also between 2 Android devices. No USB cable needed, no cloud service involved, the transfer process happens directly via a Wi-Fi network. Quick and easy. The neat UI, except a build-in file manager, also provides file sharing with an iOS device and a computer. Automatically convert Android incompatible format to compatible format when transferring content from iOS to Android. For example, convert HEIC images to JPG format. We will add automatic Wi-Fi detection, multi-clouds file transfer and management and improve the transfer speed in future updates. We hope they can share their thoughts about 'AnyTrans for Android' with us, so that we can also know what to do with future updates. Of course we’d be very happy if they can recommend 'AnyTrans for Android' to their friends and family. 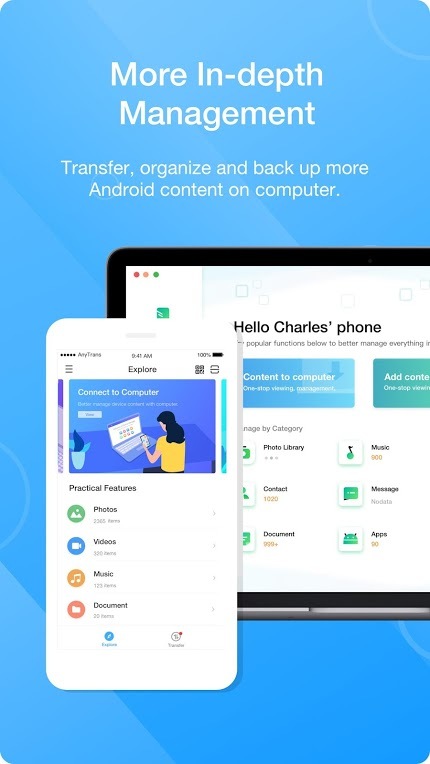 About App: AnyTrans makes it easy and fast to transfer and share photos, videos, music, documents and more files across your devices. 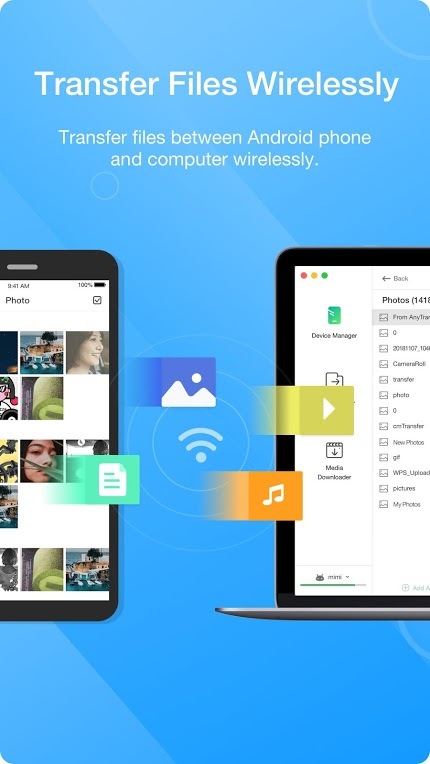 No matter whether you want to add songs or movies to your phone, back up photos you shot to computer, or share your files with others, it goes instantly and wirelessly. 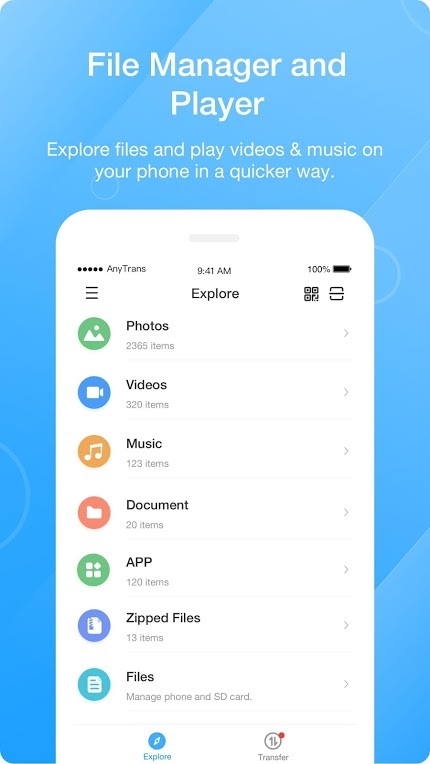 Besides, AnyTrans offers you a much quicker way to manage various types of files stored on your phone. Wireless Transfer: AnyTrans connects your phone and computer wirelessly to bring you a lighter experience for file transfer. You don’t have to install any program on PC/Mac. No need of a USB cable. Skip tedious process. Simply scan a QR code, and you can start transfer instantly. AnyTrans is your perfect file sharing solution. Just install AnyTrans on two devices and they’ll communicate directly. Whether you want to share photos with family, share an interesting video with your friend, or send a document to your colleague, the files will fly fast and securely to your wanted destination. Your phone has limited storage, but your media collections and files keep growing. So, AnyTrans lets you export valued photos, videos, music and other important files to computer. With a safe backup, you can make space to capture more life moments, and to enjoy more movies, TV shows and music on your phone.